Hello. My name is Sergio Rodriguez, from Spain, and I created this web space in december of 2010 for the fans of Reg Park all over the world. 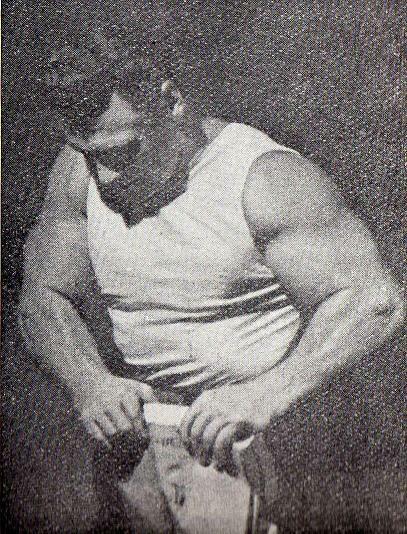 Also, this space shows his tribute to the other Iron Game bodybulders of the 40s and 50s, primarily to the "King of Bodybuilders", John Grimek. Enter and you will be captivated by the magic of this men and his lifes. Here is Reg training in the flatroom of the famous Gold's gym, Venice California. He was already 55 years old and his musculature was amazing. But there is something better. His attitude. He is enjoiying the training like he was a teenager, as if he began training that day. In fact it was a good time for Reg Park. 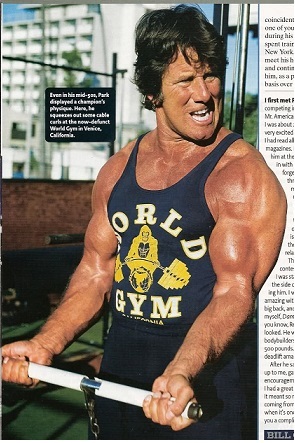 He sold all his gyms one year before and he had more time to train and was another time enjoying life and training. Read the article named Going Back to the Fifties (1982) and you'll understand. This affected me the first time I saw it. 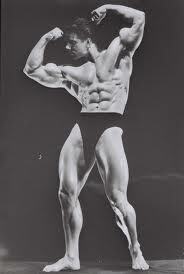 It was not only the muscles, the strength, the stetics of the body, the proportions. It's the attitude towards life that you finally got captivated. He got up early five AM, train and work training other people all day, and later he had time as a loving father and husband for his family. He was a gentleman, always optimistic, a good man and humble and gracious with everyone unknown person that want to talk some words with him. It was one of the most important dreams of my life, and after the pass away of my father took me out of a sad period and put me again in life. The next image on the right I saw it when I was a boy. The nature had not given me an strong frame and always looked amazing that strong men from the old magazines of the 50s and 60s that my father had. And above all, this old photography. His enourmous arms breaking a thick book were an stimulous that put me in the way of weightraining, impossible to avoid for me. 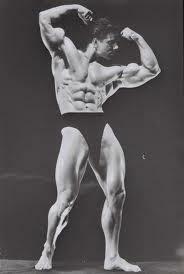 Although it was in my 30s that I could began to train regularly in the old www.regpark.net forum where I meet several good friends, as Alwayn, a pupil of Reg Park himself and the late and always remembered, Kris Kangas.